Do not be sluggish and lazy. Do not be scared of hard training. From willpower grows success. Shaolin Temple UK is a Shaolin martial arts cultural centre. It was founded in 1998 by 34th generation fighting monk Shifu Shi Yanzi, the first disciple of the Abbot Venerable Shi Yong Xin. Shaolin Temple UK is an official emissary of the 1500 year old Shaolin Temple in Henan Province in China, by direct mandate from the venerable Abbot. 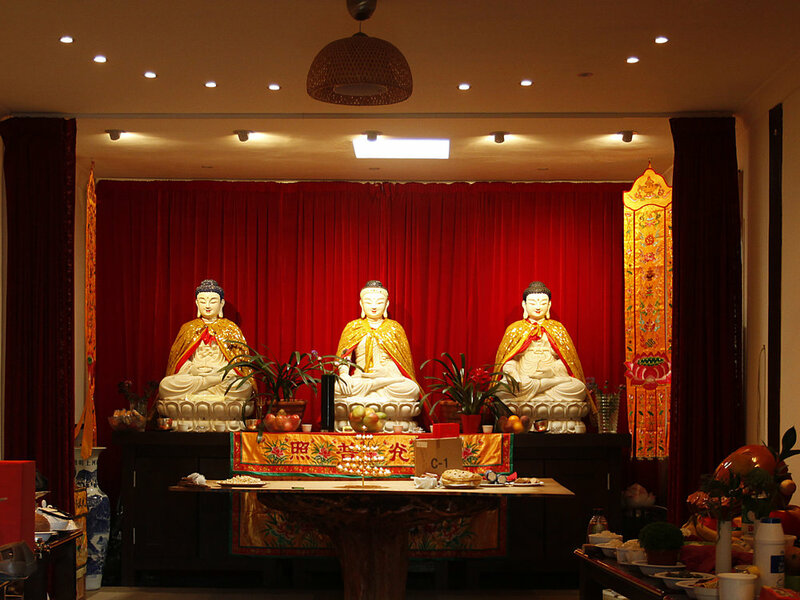 The temple is dedicated to promoting Kung Fu-Ch’an, Qi Gong and Ch’an Buddhism. We emphasize balanced training in both external and internal martial arts. We wish to guide you towards a healthier, more fulfilling and peaceful daily living. Classes are taught by Shifu Shi Yanzi and his 35th generation disciples: Tianhao Xu,Shi Hengdao, Hengjiu, Hengshang and Hengdi.